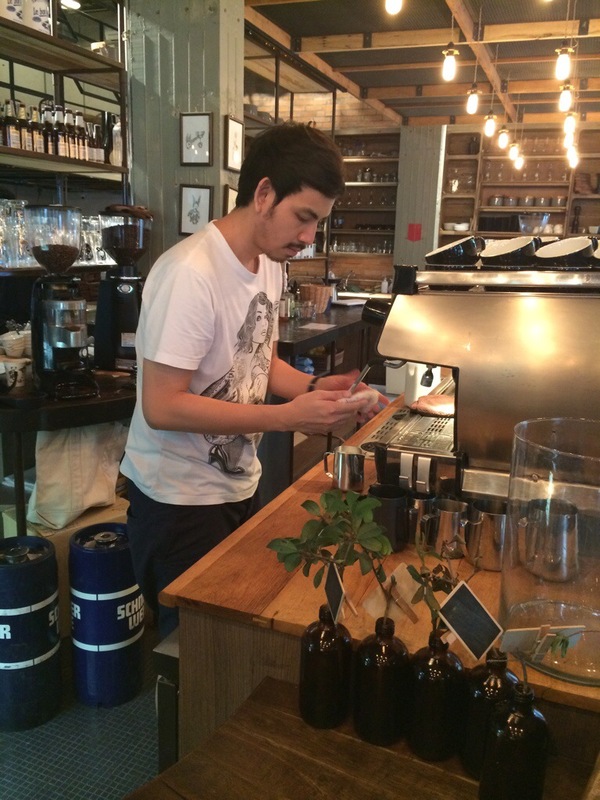 I took a very short trip to Bangkok for a very short semi-business trip so decided to do a little cafe hopping here. I have been wanting to visit Casa Lapin all this while, especially seeing many of my Thai friends enjoying their chillax there. I want to be seen there as well. How can a cafe hopper not been to the holyland of Thai cafe scene. 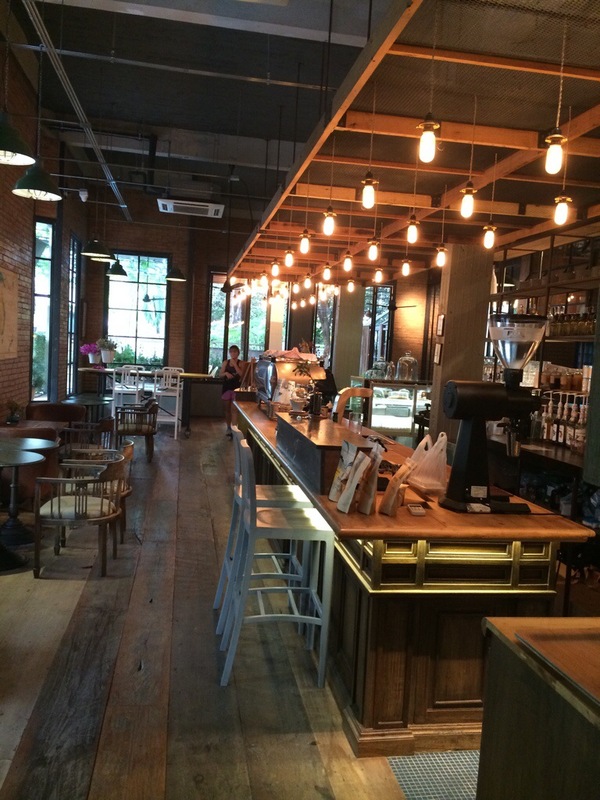 It wasn’t a difficult find, just alight at BTS Prom Phong and head towards Soi 26 you will certainly not miss this beautifully crafted cafe. I was there very early and was the first customer of that day…unfortunately there is no discount for first comer! I was so captured by the overall decor of the cafe. The cafe has a homely, country feel. Rustic texture and with all the dried flowers hanging on the wall, it gives you a very unique therapeutic feel. You just wish to sit there the whole day and lazing the hours away! I ordered a cup of latte and their chocolate tart. Well, I ordered the tart because it has the Casa Lapin label on it. Casa Lapin comes from a French term meaning house rabbits. I am not exactly sure what that means really. 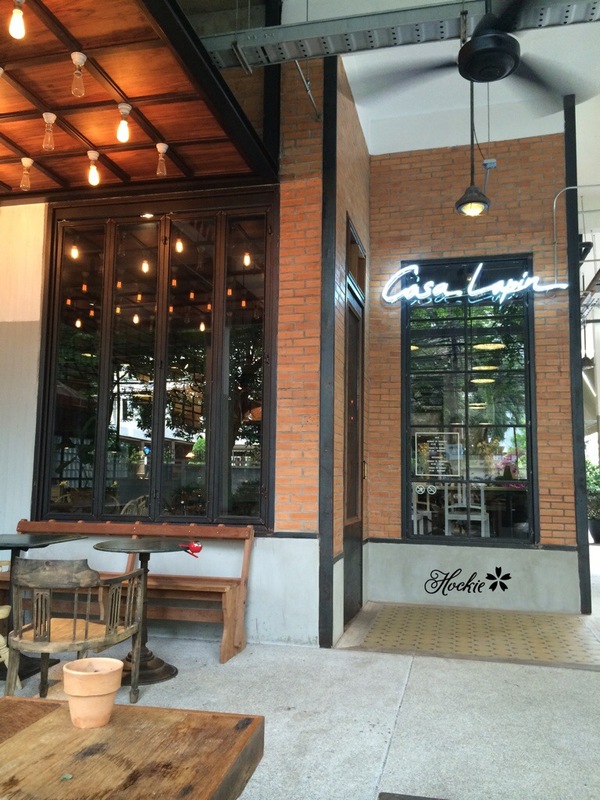 Managed to chat with two of the staffs at the cafe and found out that Casa Lapin is owned by several partners and they came together to create this cafe wonder in Bangkok! One of the partners even own the flower shop just besides the cafe. I wasn’t sure how long I stayed in the cafe. However it really feels like time stopped for a long duration. Well reality being reality… I had to move on to my next appointment. 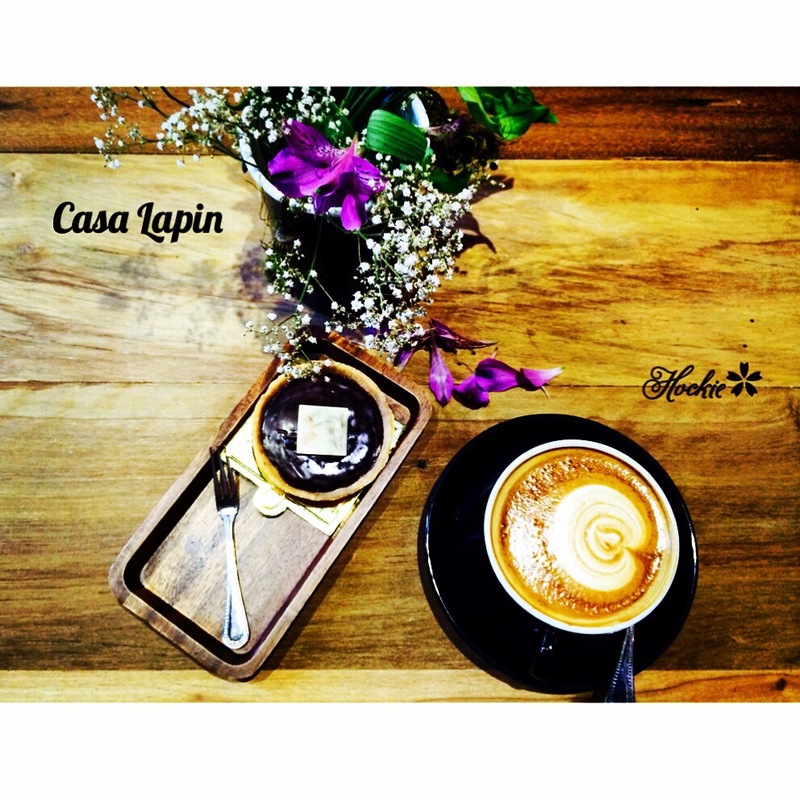 Casa Lapin is a must visit if you are keen about cafe scene in Bangkok or Thailand. 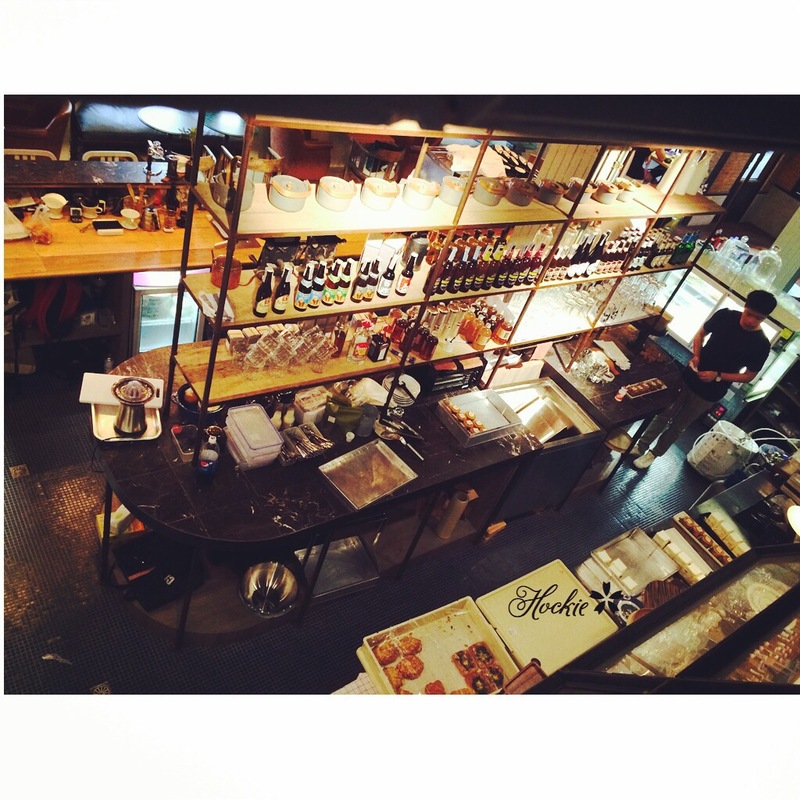 They have three outlets in Bangkok and Soi 26 is the largest one in size! I loved this place as well 🙂 and that chocolate tart looks so goooooood!